WALNUT CREEK, Calif. (June 1, 2016) – Fine Americas, Inc. recently announced Blush®, a plant growth regulator for apples, is now available in Canada. Blush® contains the active ingredient prohydrojasmon (PDJ), which promotes red fruit coloration by increasing the naturally occurring red pigment (anthocyanin) in bi-color apples such as Fuji, Gala, Honeycrisp, McIntosh, Paula Red and Pink Lady. 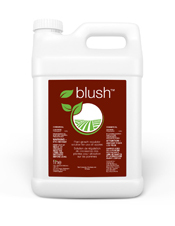 Additionally, Blush® reduces the color drag often associated with harvest management products. Blush® is available to Canadians through N.M. Bartlett. Blush® is a registered trademark of Fine Agrochemicals, Ltd.